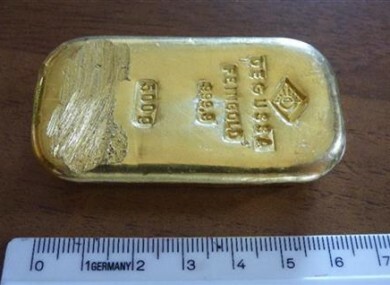 A TEENAGER HAS made an unexpected find while swimming in a lake in the German Alps: a 500-gram (17.6-ounce) bar of gold. Police said that they are still trying to figure out where the bar comes from and how it got into the Koenigssee lake, a popular tourist destination near Berchtesgaden on the border with Austria. The 16-year-old girl, who was on holidays, found it around 2 metres under the surface on Friday and handed it in to police. The find ignited rumours of Nazi gold being dumped in the lake, but experts say it is not from that time. Divers yesterday carried out a thorough search of the area around where the bar was found, but didn’t find any more gold or other valuables. Read: ‘Serious stress and trauma’: Are cash-for-gold shops causing burglaries? Email “Teenager finds gold bar in a German lake, sparks rumours of Nazi treasure”. 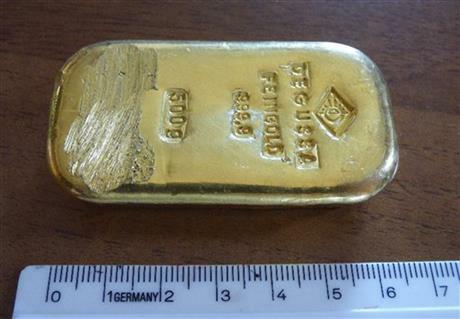 Feedback on “Teenager finds gold bar in a German lake, sparks rumours of Nazi treasure”.